Pixabay is a website offering “over 1.3 million royalty free stock photos and videos shared by our generous community.” All contents are released under Creative Commons CC0, which makes them safe to use without asking for permission or giving credit to the artist. 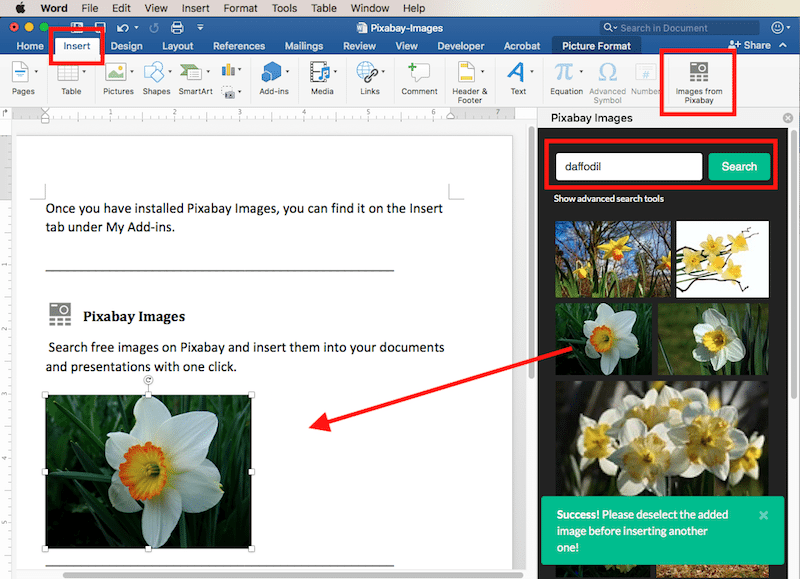 The new Pixabay Word and PowerPoint plug-in lets you search for public domain images without having to leave your Word document or PowerPoint slideshow. Install for both Word and PowerPoint. Use your College credentials to authenticate for your computer’s software. 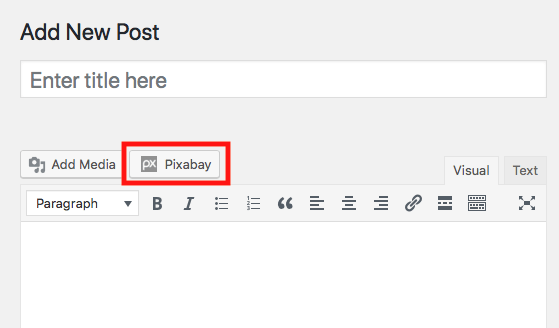 Pixabay Images is a WordPress plugin that let’s you pick CC0 public domain pictures from Pixabay and insert them with just a click anywhere on your blog. The Pixabay plug-in has been installed on voices.wooster.edu. See below for how to enable it on your Voices blog. Log in to your Voices site. At the Dashboard, click Plugins in the left frame. In the main frame, scroll to Pixabay. A Pixabay button appears beside the Add Media button. Click it to search Pixabay, select an image, and click Insert into post.